WALL TOWNSHIP, N.J. ~ For the third straight year defending Modified stock car driving champion Jimmy Blewett won the season opening race at Wall Stadium Speedway on Saturday night. It was the 77th career main event win for the Howell resident. Derek Hopkinson of Toms River jumped to the lead early in the 40-lapper but Blewett soon advanced to second spot in the 23 car field. Blewett then stalked Hopkinson until making his winning pass in the outside lane in turns one and two. Hopkinson was not ready to settle for second, however, as he challenged Blewett to the finish. Former champ Steven Reed of Jackson, Ricky Collins of Willow Grove, Pa. and Ron Frees of Lanoka Harbor completed the top five. After setting fast time in qualifying Jackson's Kyle Scisco raced into the lead in the closing laps to win the companion 25-lapper for the Center State Engineering Sportsman racers. Larry Thompson of Parlin finished second and Brick's Robert Sutphin finished third after taking his turn in the lead. Tommy Martino, Jr. of Farmingdale and Carsten DiGiantomasso of Jackson wrapped up the top five. Shannon Mongeau of Manchester, who was undefeated in winning the Mike's Performance Center Limited Late Model championship last season, continued his success by winning Saturday's 20-lapper. Former champ Mike Tillett of Bayville, Chris Silvestri and Greg Miranda, both of Hazlet, and Mike Shea completed the top five. Mongeau also crossed the finish line first in the 25-lapper for the O'Shea's Auto Repair Factory Stocks, but when his car did not get past post-race inspection Elliott Wohl of Beachwood earned the win. Farmingdale's Kenny Green, Tim Majek of Scotch Plains, defending champ Mike Montano of Freeport, N.Y. and Wall's Bryan O'Shea were second through fifth. Mike Alcaro of West Milford won the 25-lapper for the Green Flag Driving Experience Legend Cars over Kevin Nowak of Medford, N.Y. Howell's Rob Silver, Sean Verwys and Ronnie Milroy were third through fifth. Jeffrey Loesch of Neptune City was the opening winner in the 25-lapper for the Surfside Collision 4 Cylinder Stocks over Neil Rutt III of Waretown, Alonzo Morales of Mt. Ephraim, Brick's Randy Hart and Chuck McDonald. Although Saturday night stock car racing will be suspended this Saturday night (April 20) in observance of Easter weekend, the speedway will host a paid practice session on Saturday with rookies on the track at 10:00 a.m. and then all racers welcome to test from 11:00 a.m. until 4:00 p.m. The 2019 Saturday night regular season then continues in two weeks on Saturday (April 27) evening with the Modifieds, Sportsman cars, Factory Stocks, 4 Cylinder Stocks, Legend Cars and the Limited Late Models in action The pit area will open at 1:00 p.m. Grandstands will open at 4:00 p.m. and a special “Fan Fest” on track party is set for 4:30 p.m. Qualifying starts at 5:45 p.m. and main event action starts at 7:00 p.m.
Saturday night racing action continues through early October with schedule details at www.wallspeedwayracing.com. In the 20-lap Delaware Auto Exchange Mid-Atlantic Sprint Series main event, Bryant Davis motored by the early leading Larry McVay with seven laps remaining to gain the victory. The runner-up spot went to Rick Stief. Jason Dunn finished in third after starting the contest in eleventh. Delaware Auto Exchange Mid-Atlantic Sprint Series rookie Chuckles Stone came from nineteenth to complete the race in fourth. Eighteenth place starting Ricky DiEva completed the event in fifth. Bryant Davis and Randy Wilbert won the Delaware Auto Exchange Mid-Atlantic Sprint Series qualifying events. In the originally scheduled 20-lap Hammer Sportsman feature, Jim Housworth was declared the victor after the time limit was reached and eight laps were completed. The victory was the fifth Sportsman win for Housworth at New Egypt Speedway. Second place was captured by JT Trstensky. Twelfth place starting Steve Davis finished in third. Joseph Brown and John Criscione filled out the top five. JT Trstensky and Steve Davis were victorious in the Hammer Sportsman heat races. The consolation contest was captured by Brad Roberts. For the twenty-seventh time in his career, Bill Liedtka took top honors in the 15-lap Street Stock feature. Liedtka, who was involved in a second lap caution with Jon Meyer, roared back through the field and took the lead from Brian Ludwig on the seventh tour. Meyer slipped by Ludwig on the final circuit to take second. With Ludwig crossing the line in third, Billy Wroble was fourth and Vern McLaughlin finished fifth. After taking command from Jim Van Wickle on the fourth circuit, Ryan Godown Jr. ran away from the field to win his second consecutive 8-lap Lyons Construction/Metal Fab Rookie Sportsman race. The runner-up position was claimed by Anthony Tramontana Jr. Third place went to Vinny Troia. DJ Hunt and Ryan Krushinski completed the top five. Plumsted Township Night takes place on Saturday, April 20 at New Egypt Speedway as all residents of Plumsted Township will receive free general admission with proof of residency. On the track, the Vahlco Wheels Modifieds, Larry's Hot Rods & Harley's Northeast Wingless Sprint Cars, Crate Modifieds, 4-Cylinders and the Lyons Construction/Metal Fab Rookie Sportsman will be in action. Pit gates unlock at 3:00 p.m. with the grandstand ticket office opening at 4:00 p.m. Warm-ups get underway at 5:00 p.m. and the first green flag waves at 6:00 p.m. Admission to the grandstand is $20 for adults, $18 for seniors 65 and older, $10 for teens 12-15, $10 for military personal and their spouses with ID, and Kids 11 & under are FREE. Pit admission is $30 with a New Egypt Speedway license and $40 without. “New Jersey’s Premier Dirt Track Facility”, New Egypt Speedway is located on Route 539 just minutes from Six Flags Great Adventure and the New Jersey Turnpike. A racy 7/16-mile D-shaped dirt oval, New Egypt Speedway serves Garden State race fans with some of the best competition in the country. New Egypt’s state-of-the-art facilities feature daylight-quality lighting and excellent sightlines from any seat in the house. The grandstands are fully wheelchair accessible with wide, clear, and well-groomed walkways. Concession facilities serve up everything from Jersey Burgers to ice cream treats at family-friendly prices. BEDFORD, Pa. (April 14, 2019) - Ollie’s Bargain Outlet All Star Circuit of Champions presented by Mobil 1 and Bedford Speedway officials did everything they could to try and outrun Mother Nature on Sunday, but a worsening forecast has forced both parties to pull the plug. At this time, no rain date for 2019 has been set. Officials will work together to bring the All Stars back to Bedford Speedway in 2020. The All Star Circuit of Champions will now turn their focus toward the Buckeye State and prepare for a two-day visit to Attica Raceway Park in Attica, Ohio. The Core & Main Spring Nationals is on the upcoming weekend agenda, set to takeover Attica Raceway Park headlines on Friday and Saturday, April 19 & 20. More information regarding the All Star visit to the Attica highbanks will be posted in the near future. PORT ROYAL, Pa. (April 13, 2019) - If there is one thing for certain in the world of sprint car competition, one can never count out Lance Dewease at Port Royal Speedway, especially when the Ollie’s Bargain Outlet All Star Circuit of Champions presented by Mobil 1 are in town. With a little bit of luck in the form of a late-race caution, Dewease, driver of the familiar Schannauer Plumbing and Heating/Hess Iron/Kreitz Oval Track Parts/No. 69K, muscled his way around race-long leader, Danny Dietrich, to earn a Series-leading tenth Port Royal Speedway victory during All Star action, climbing his way forward from the outside of row four. Impressive enough, Dewease has won seven of the last eight All Star contests at the Port Royal ‘Speed Palace,’ raising his overall win total with the Tony Stewart-owned organization to 38. Wasting little time after the drop of the initial green, Dewease powered his way to fifth in one circuit, eventually taking the fourth position away from Steve Buckwalter by the completion of lap two. In the meantime, it was all Danny Dietrich at the front of the field, keeping a safe distance between himself and fellow front row starter, Anthony Macri, during the first five circuits. By lap seven, Macri was all over the tailtank of the Gary Kauffman Racing entry, actually pulling even with Dietrich as the pair raced toward the flagstand to complete lap eight. With traffic creating a momentum shift, Macri pulled even with Dietrich once again, this time as the pair battled through turns one and two on lap nine. Unfortunately for Macri, contact between himself and Dietrich at the end of the backstretch caused the front-end to break sending Macri hard into the inside guardrail. A slow rollover would force the main event’s first and only red flag stoppage; Macri walked away unharmed. When green flag action returned, Dewease pounced again, not only gaining a position due to Macri’s misfortune, but the Fayetteville-native also worked around six-time All Star champion, Dale Blaney. With Dewease firmly in second, the new target was Danny Dietrich. Traffic returned to the picture shortly after the field reached the halfway point of the 30-lap program. Although Dietrich was able to navigate slower traffic, Dewease kept the Gettysburg-native in-check, eventually erasing Dietrich’s advantage to less than a car length by lap 20. Despite Dewease’s ability to show speed in traffic, Dietrich prevailed, soon escaping to a half-straightaway lead by lap 26. The break that Dewease needed occurred on lap 28, as Brock Zearfoss pulled to a stop with a flat right-rear tire resulting in a caution. On the ensuing restart, Dewease made his winning move, soon driving to the outside of Dietrich as the pair battled through turns one and two. Dewease did not take the lead, officially, until the exit of turn four, actually driving around Dietrich through the entire corner, beating the recent Port Royal winner back to the flagstand to complete lap 29. From that point forward, it was all Lance Dewease. Danny Dietrich held on to finish second, a second consecutive runner-up finish during All Star competition, followed by a 13th-starting Logan Wagner, Aaron Reutzel, and Dale Blaney. Tony Stewart’s All Star Circuit of Champions will conclude their four-race turned three-race sweep through Virginia and Pennsylvania with a visit to Bedford Speedway in Bedford, Pa., on Sunday, April 14. Honoring the legendary Roy Morral, the All Stars will battle for a $5,000 top prize during their visit to the Bedford Fairgrounds half-mile; the first and only visit for the traveling All Stars in 2019. Bedford Speedway officials will swing open pit gates at 7 a.m. on Sunday, April 14. 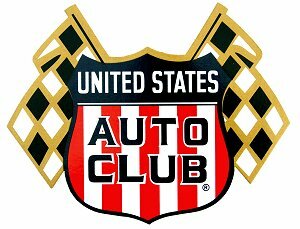 A recent change due to potential incoming weather, the All Star drivers meeting will be conducted at 2 p.m., followed by hot laps at 3 p.m., sharp. Those wanting to learn more should visit Bedford Speedway live on the Web at www.bedfordspeedway.com. Presenting Saturday night NASCAR stock car racing plus a variety of special events. 2019 marks their 57th consecutive season of stock car racing. BECHTELSVILLE, PA April 14, 2019 . . . Established 358 Modified chauffeur Brett Kressley showed his strength early on Saturday evening at Grandview Speedway, winning his heat race in an exciting fashion aboard the Northern Valley Erectors Morgantini Racing Engines powered No. 19K family-owned mount, which placed him outside the front row to start the T.P. Trailers 358 Modified 30-lap main event, the result of a heads-up start for the 28-car field on opening night. With the green it was the 26-year-old Orefield, PA resident immediately jumping out in front over Eric Biehn, who started from the pole. Frank Cozze, who started third, and Duane Howard, who started fourth, followed running third and fourth prior to a caution on lap 3 when Brett Gilmore developed a flat right rear tire. Kressley retook the lead with the new green with Biehn, Jeff Strunk, who started fifth, and Cozze in tow for lap 4, however a caution again quickly bunched up the field. Again the green waved and it was the former Sportsman track champion Kressley, Biehn, Strunk and Doug Manmiller, who started from twelfth, in that order completing lap 5. Howard slipped by Manmiller to claim fourth on lap 6 and by lap 8, Kressley had built up a safe advantage over Biehn, who was doing a fantastic job holding on to the runner-up role while holding off challenges from 10-time track champion Strunk and 5-time track champion Howard lap-after-lap. With 15 in the books and 15 still to go, it was Kressley out in front now by a full straightaway, but a caution on lap 20 as Briggs Danner developed a left rear flat tire tightened things up again with ten to go. When racing got back underway it was Kressley still showing the way over Biehn, with Strunk, Howard and Manmiller trailing after 21-laps. On lap 22, racing through turn 2, Biehn had a slight push and Strunk ducked underneath to steal second away just prior to Frank Yankowski spinning in turn 1 and bringing out the yellow. The restart saw Kressley remain on top over Strunk, with Howard slipping by Biehn for third, as Biehn fell back into fourth-place just ahead of Rick Laubach, who started the event from sixth. 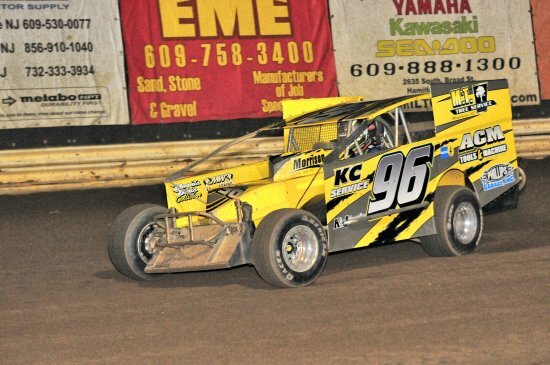 That’s how the top five remained with Kressley claiming his seventh career 358 Modified feature win at the high-banked third-mile dirt oval in Bechtelsville, PA.
Kressley claimed the $2,500 first-place check, plus a $300 bonus award from T.P Trailers in nearby Limerick, PA and a $100 product award from VP Racing Fuels. Kressley in addition was awarded the “Halfway Hoagie” from Dan’s Deli in Boyertown, PA as the race leader at the halfway point. The 12-lap heat race winners, with 45 cars in the pit area, were Biehn, Kressley, Cozze and Howard. The 10-lap consolation event wins were captured by Ryan Lilick and Skylar Sheriff. Third generation Sportsman pilot Jack Butler started from the pole position wheeling the family-owned Applegate’s Bakery Leindecker Racing Engines powered No. 5 entry in the T.P. Truck Equipment backed 25-lap Sportsman main event and immediately was the early rabbit everyone was chasing, with Kyle Lilick, Dean Bachman and Brad Brightbill in hot pursuit, as the 24-car starting field got the initial green. The Phillipsburg, N.J. teenager remained out in front with the laps clicking off, as Brightbill ducked underneath Bachman to move into third by lap 6. Former Sportsman track champion Brian Hirthler got by Bachman to move into fourth-place on lap 11 and by halfway it was still Butler in the top spot, with Lilick, Brightbill, Hirthler and Bachman in tow. On lap 14, exiting turn 4, Brightbill drove by Lilick to advance to the runner-up position, but on lap 16 Sportsman rookie Brandon Edger saw his ride go up in smoke bringing out the first caution of the race. Butler assumed the top spot on the restart over Brightbill, Hirthler and Lilick for lap 17. Brightbill got up high near the outside boiler plate wall in the loose stuff racing through turns 3 and 4 on lap 19, but continued on, dropping to the tail of the field, allowing Hirthler to take second spot, with Lilick third. Butler easily built up a safe advantage and won his first career Sportsman feature event at the track, claiming the $800 top prize. Rounding out the top five were Hirthler, Lilick, Mark Kemmerer and Brad Arnold. “I got a little nervous on that late race restart with Brightbill outside of me,” explained Butler. “I got lucky and got my lane going into turn one. Believe me, it feels pretty sweet to finally win one of these races here for a change. “My dad (former racer Gary Butler) told me to keep looking ahead to see where the lapped cars were and I tried, but they were double-wide. I kind of waited and followed other cars through the heavy traffic. I was kind of glad we got that late race caution. Those lapped cars would’ve been a real mess to get through. “I have to give all the credit to my dad. He gave me the best car out here tonight. We kind of hit on something that worked last Saturday night and it worked for us tonight. Everything’s working right, right now,” said Butler. Wins in the 8-lap heat races, with 27 cars in the pit area, went to Butler, Lilick and Bachman. Winning the 8-lap consolation race was Josh Adams. The entire 12-event card of racing was completed by 9:30 p.m.
Next Saturday, April 20th, the T.P.Trailers 358 Modifieds, T.P.Truck Equipment Sportsman and Blast from the Past Vintage racers are featured in a tripleheader starting at 7 p.m. There is no increase in the admission prices with adults paying $15 while youngsters under 12 admitted free. Then on April 27th the Mid Atlantic Sprint Series 305 Sprinters will join the Modifieds and Sportsman in another tripleheader show. For information check in at www.grandviewspeedway.com, Facebook or telephone 610.754.7688. Sportsman (25-laps) – 1) Jack Butler, 2) Brian Hirthler, 3) Kyle Lilick, 4) Mark Kemmerer, 5) Brad Arnold, 6) Dean Bachman, 7) Brad Grim, 8) Lex Shive, 9) Andrew Kreis, 10) Jesse Landis, 11) Scott Kohler, 12) Josh Adams, 13) BJ Joly, 14) Kyle Smith, 15) Nate Brinker, 16) Brad Brightbill, 17) Mike Koffel, 18) Brandon Edger, 19) Andy Clemmer, 20) Kenny Bock, 21) Mike Mammana, 22) Parker Guldin, 23) Derrick Smith, 24) Warren Floyd Jr.
Bloomington, Indiana (April 12, 2019).........Following a sluggish start to the season in Ocala, Fla. in the first three races of the year, Brady Bacon made doubly sure he saw the checkered flag in Friday night's "Larry Rice Classic" USAC AMSOIL National Sprint Car feature at Bloomington Speedway. After results of 7th, 15th and 11th back in February amidst his return to the famed Hoffman Auto Racing/Dynamics, Inc. No. 69, the Broken Arrow, Oklahoma native was anxious to get off the schneid, so to speak, corralling the 24th win of his career with the series, surpassing A.J. Foyt and Roger McCluskey to move into sole position of 21st on the all-time list. Bacon led all 30 laps from the pole and, in the process, broke an 18-year-old 30-lap track record on the quarter-mile of red clay, previously held by A.J. Anderson, showing that the two-time series champ remains at the top of his game. "We put our heads together after Florida and tried not to get in panic mode yet because Ocala is just a different place," Bacon explained. "We just made sure we had our i's dotted and our t's crossed when we came here." There was no stopping Bacon on this evening, even if the reflection of the lights were trying to trick his mind. "I actually thought I saw the white flag with the way the lights were reflecting off the move over flag," Bacon said. "The flag man was waving it pretty vigorously and I thought it was the white. Luckily, I kept going another lap and I saw it again, so I knew I wasn't right. I just kept going until I knew I saw the double checkers." From the get-go, Bacon was the class of the field, instantly building his advantage to a half-straightaway over outside front row starter Kevin Thomas, Jr. by lap four. Bacon continued to increase the interval until meeting the tail end of a highway jam on lap nine with a seven-car gaggle jostling for position at the back, pairing down Bacon's lead to a half-second on a closing Thomas. 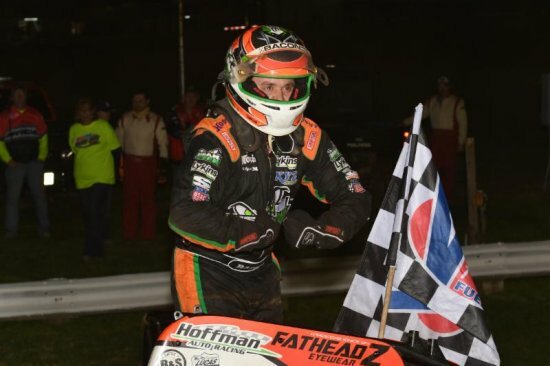 The winningest driver for the Hoffman family in USAC National Sprint Car competition, Bacon ringed the top in turns three and four and the bottom of one and two as he navigated the narrow crevices between the lappers. With 11 laps to go, Bacon sought daylight between the cars of Stephen Schnapf and Isaac Chapple in turn three. Bacon grabbed the rays, splitting the two to find the welcome view of an unoccupied road out of his visor with two-thirds of the race in the books. "I was fortunate enough to sneak through a couple times," Bacon recalled. "Your mental clock gets ticking and I kind of had to force the issue a couple times to get by a couple guys. It's part of racing here. It gets a little narrow, but usually there's two grooves here. The bottom was not as prevalent as it typically is here. Usually, you can sneak by lapped cars on the bottom. I was having a tough time doing that, so I had to slide up out of the way." From that point forward, Bacon was by his lonesome as he lapped up to 13th place on his way to his first career feature victory of any kind at Bloomington aboard his Dynamics, Inc./Mean Green - Fatheadz Eyewear - Tel-Star/Triple X/Hershey Chevy. Second went to a distant Thomas 2.158 seconds behind Bacon at the finish. Rounding out the top-five were Jason McDougal, KSE Racing Products/B & W Auto Mart Hard Charger Tyler Courtney (from 9th) and Fatheadz Eyewear Fast Qualifier and new one-lap track record holder C.J. Leary. It's a sense of sweet redemption for Bacon at Bloomington, picking up his first win at the southern Indiana staple after being on the brink of victory earlier in his career. "I've run second here a couple times," Bacon remembered. "In 2007 or 2008, I led almost the whole race in the spring like this and slid off the track. I've been coming here for so long, you kind of take it for granted. But it's cool to win at a historic place like this. The green grass in the spring here is always the sign that it's time to go racing. This is a tough racetrack to win at and I'm happy we could do it and to be back with the Hoffman team. I'm glad to shake off our rough start and get back to our usual results." Contingency award winners Friday night at Bloomington Speedway were C.J. Leary (Fatheadz Eyewear Fast Qualifier), Robert Ballou (Simpson Race Products First Heat Winner & Roger & Barb Tapy 13th Fastest Qualifier), Brady Bacon (Competition Suspension, Inc. Second Heat Winner), Tyler Courtney (AutoMeter Third Heat Winner & KSE Racing Products/B & W Auto Mart Hard Charger), Chase Stockon (Indy Race Parts Semi Winner) and Dakota Jackson (Wilwood Brakes 13th Place Finisher). 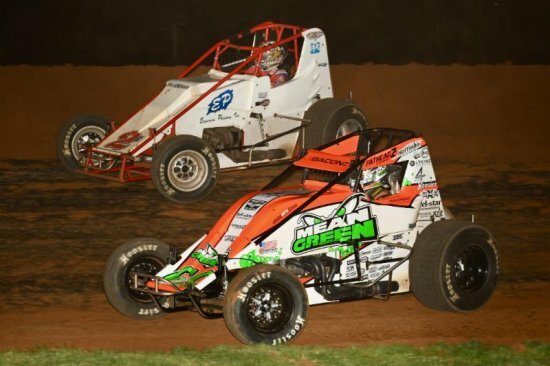 USAC AMSOIL SPRINT CAR NATIONAL CHAMPIONSHIP RACE RESULTS: April 12, 2019 - Bloomington Speedway - Bloomington, Indiana - "Larry Rice Classic"
FATHEADZ EYEWEAR QUALIFYING: 1. C.J. Leary, 19AZ, Reinbold/Underwood-10.685 (New Track Record); 2. Chad Boespflug, 98e, EZR-10.713; 3. Jason McDougal, 71p, Daigh/Phillips-10.860; 4. Chase Stockon, 32, 32 TBI-10.880; 5. Josh Hodges, 74x, Hodges-10.908; 6. Justin Grant, 4, TOPP-10.920; 7. Kevin Thomas, Jr., 19, Hayward/Thomas-10.943; 8. Brady Bacon, 69, Dynamics-10.961; 9. Tyler Courtney, 7BC, CMNR-10.977; 10. Stephen Schnapf, 61m, Edwards-11.050; 11. Jordan Kinser, 70, Hurst-11.087; 12. Chris Windom, 5G, Goacher-11.119; 13. Robert Ballou, 12, Ballou-11.150; 14. Lee Underwood, 24L, Underwood-11.175; 15. Dakota Jackson, 3, Jackson-11.212; 16. Carson Short, 21, RCM-11.214; 17. Isaac Chapple, 52, LNR/Chapple-11.291; 18. Brian VanMeveren, 24, VanMeveren-11.305; 19. T.J. Artz, 57, Artz-11.392; 20. Dustin Christie, 75, Christie-11.410; 21. Joe Stornetta, 04, Burton-11.427; 22. Michael Koontz, 17K, Koontz-11.508; 23. Zach Daum, 5D, Daum-11.614; 24. Dave Darland, 2E, Epperson-11.648; 25. Kyle Hathaway, 7H, Hathaway-11.854; 26. Eric Perrott, 45, Perrott-12.891. FEATURE LAP LEADERS: Laps 1-30 Bacon. NEW USAC AMSOIL SPRINT CAR NATIONAL CHAMPIONSHIP POINTS: 1-Thomas-287, 2-Leary-284, 3-Stockon-250, 4-Grant-245, 5-Courtney-243, 6-Windom-230, 7-Bacon-229, 8-Ballou-222, 9-Boespflug-215, 10-McDougal-208. 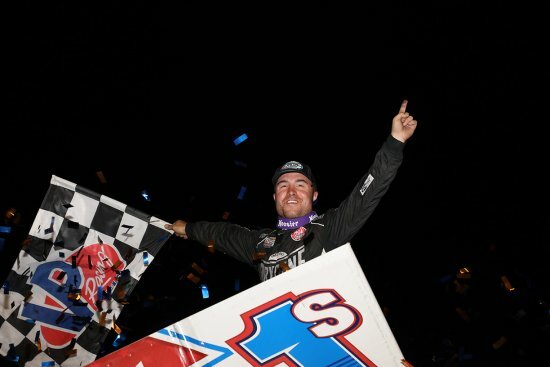 MESQUITE, TX – April 12, 2019 – Logan Schuchart totaled two wins in the 2018 World of Outlaws NOS® Energy Drink Sprint Car Series season. He now has two wins in just 12 races this year. He wrote his name into the record books Friday night, claiming his first win at the historic Devil’s Bowl Speedway – the site of the inaugural World of Outlaws race in 1978 – and his 10th Series win overall. Not only did he claim the win for the Pennsylvania-based Shark Racing team – owned by his grandfather – his teammate Jacob Allen led 10 laps of the 25-lap Feature and finished third – his first top-five this season. Schuchart had to “cowboy up” for his first win of the season at the Stockton Dirt Track, wrestling with rough track conditions. 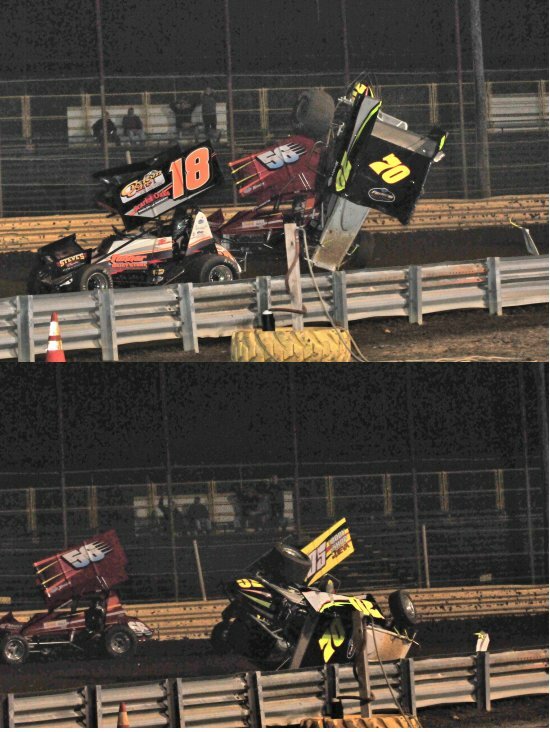 He had to do the same again at Devil’s Bowl, but not because of the track. The competition. After finding their way into the top-10 for the first time this season at Arizona Speedway, Kraig Kinser started on the pole for the Feature – after winning the DIRTVision Fast Pass Dash – and Jacob Allen started second. The two were the class of the field at the start of the race. When the green flag flew, Kinser pulled away to the early lead. Allen nearly ended his race before it started. He had a slow start, allowing Daryn Pittman to get by him for second and was side by side with Schuchart for third going down the front stretch. But Allen was hooked on the high side of the track. He bested his teammate through turns one and two, and nearly came side by side with Pittman down the backstretch before Pittman blocked his run. The next lap, Allen didn’t give Pittman the chance to pull the same move twice. He made his way by Pittman and set his sight on Kinser. Allen took the lead by Lap four and began to put about a car length distance between he and the second-place car every lap. However, his pace put him in traffic by Lap seven. Behind him, Schuchart and Pittman traded slide jobs turn after turn, lap after lap, fighting to claim third. Schuchart was the victory and led the train of he and Pittman to the front. While the high side led Allen to the lead, it became his downfall. Schuchart and Pittman both found grip on the bottom of the track and made their way by Kinser and Allen. Pittman didn’t care about either of them winning. The Owasso, Okla. native wanted another win at the track just a few hours from his home. With about 10 laps to go, Schuchart slid up the track off of turn two, allowing Pittman to get a run underneath him and take the lead. But a lap later, Pittman made the same mistake, allowing Schuchart to get back by and charge to his first Texas Outlaw Nationals win. 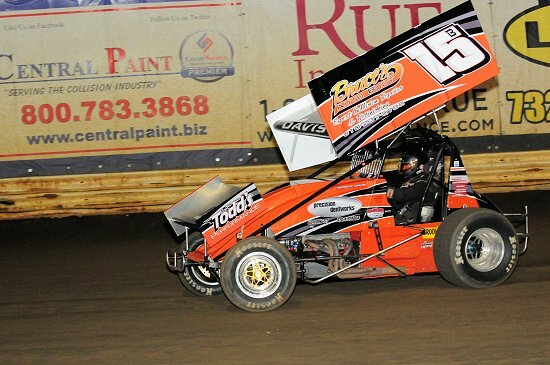 It was Pittman’s first top-five finish since finishing second to David Gravel at Keller Auto Speedway last month. He continues to sit third in points, but now just six points behind leader Brad Sweet. Donny Schatz is second, two points behind Sweet. Rookie Carson Macedo, continues to impress, remaining fourth in points – 84 points behind Sweet – and Schuchart sits fifth – 90 points behind the lead. After missing three Features early this season, Allen is starting to find consistency, winning two Drydene Heat races in-a-row, making his way into the DIRTVision Fast Pass Dash and earning two top-10 finishes in-a-row. Schuchart was the king shark Friday night, and even though he’s already matched his 2018 win total, he said that won’t change his approach to the rest of the season. The Greatest Show on Dirt will make its next stop Saturday, April 13, at the historic Devil's Bowl Speedway for the second night of the Texas Outlaw Nationals.